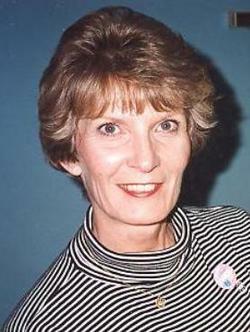 Jolyn Tully, 60, of Cartersville, died Tuesday, September 2, 2008 at the Heartland Hospice House. Born in Ithaca, New York on June 23, 1948, she was the daughter of the late James Godley and the late Velma MacDonald Godley. In addition to her parents, she was preceded in death by her mother-in-law, Nancy S. Tulley. Mrs. Tully had a fondness for animals especially her pets, Skipper and Charlie. She was also a member of Tabernacle Baptist Church. Survivors include her husband of 25 years, Frank E. Tully, Jr. of Cartersville; her children, Jaclyn Clark of Marietta, Todd Mackell of Kennesaw, Michael Mackell of Kennesaw, and Andrew Tully of Springboro, Ohio; twelve grandchildren; her siblings, James Godley of Mantua, Ohio, Sandra Harrison of Monticello, Florida, and Thom Godley of Daytona Beach, Florida; her father-in-law, Frank Tully, Sr. of Monterey, Tennessee; her sister-in-law, Constance Williams of Monterey, Tennessee; and several nieces and nephews. A memorial service will be held at 10:00 a.m. Saturday, October 4, 2008 at Tabernacle Baptist Church with Rev. Richard Brown officiating. In lieu of flowers, those desiring may make donations to the American Cancer Society, Bartow Unit, 300 W. Emery Street, Suite 106, Dalton, GA 30720.